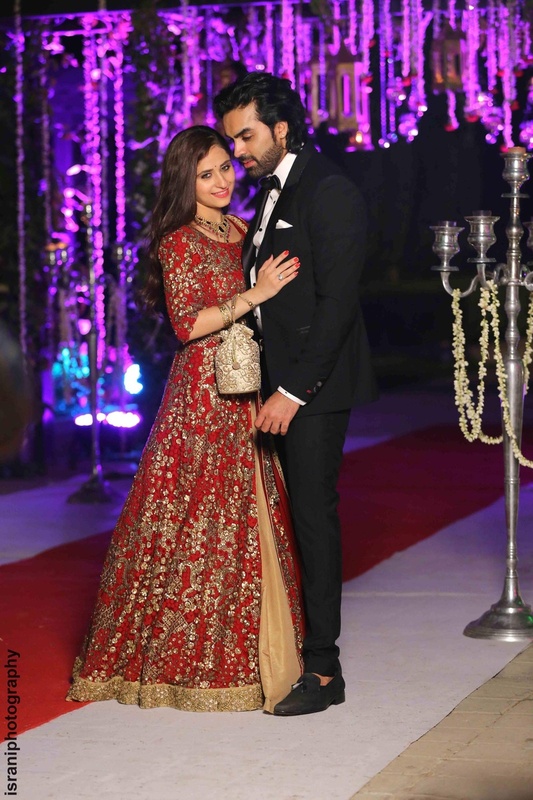 Celebrity Wedding with a Stunning Reception held at Le Méridien, Connaught Circle, New Delhi. 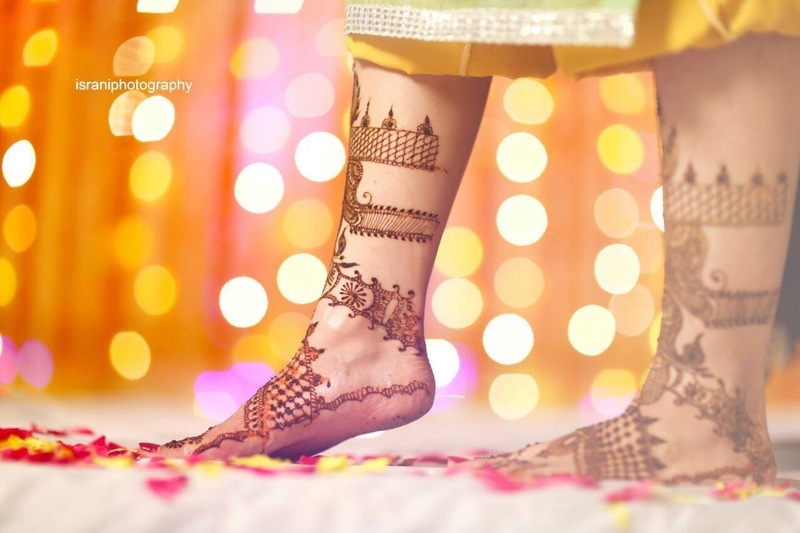 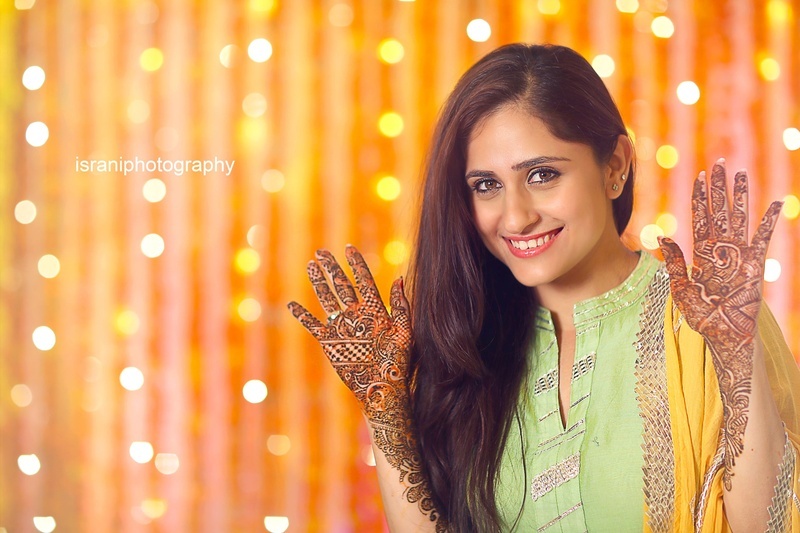 When Israni Photography dropped in this celebrity wedding in our inbox, we were ecstatic! 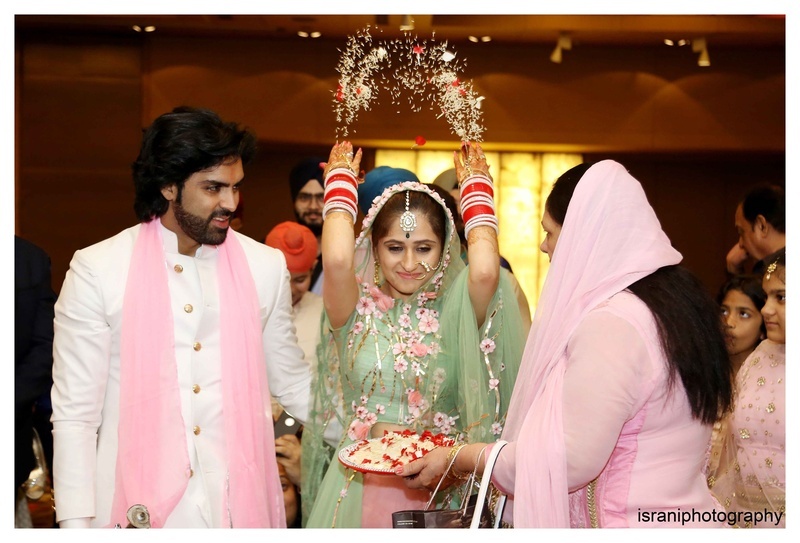 Mayank, reality tv star and winner of Splitsvilla Season 7, and Hunar Hale the lady with the perfect girl-next-door face had a beautiful wedding ceremony at Pahari Wala Gurdwara Sahib in GK I, which was followed by a love-filled wedding reception held at Le Méridien, Connaught Circle, New Delhi. 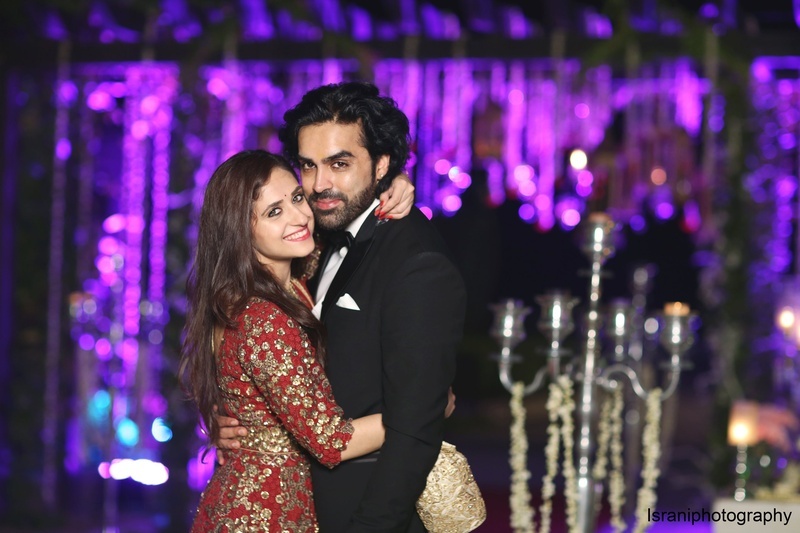 Their wedding celebrations began, with the entire day dedicated to their pre-wedding shoot,They started off with the most prime location of our Capital city i.e. 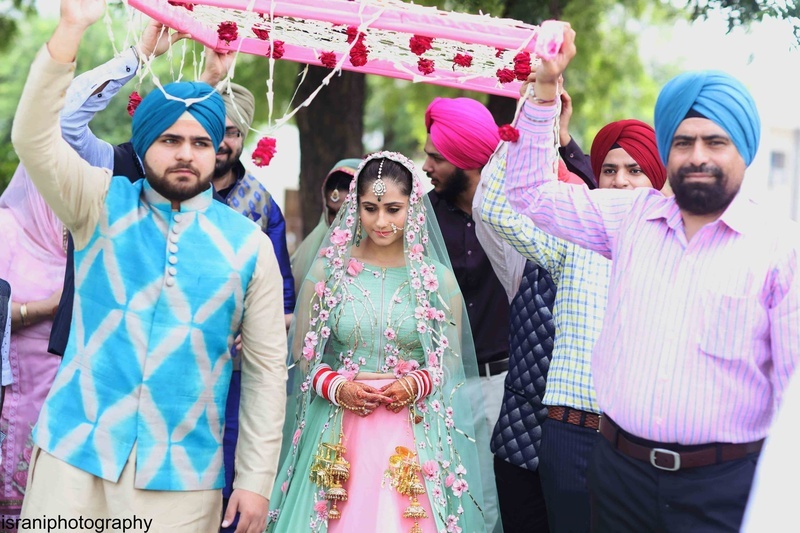 the India Gate and Rajpath. 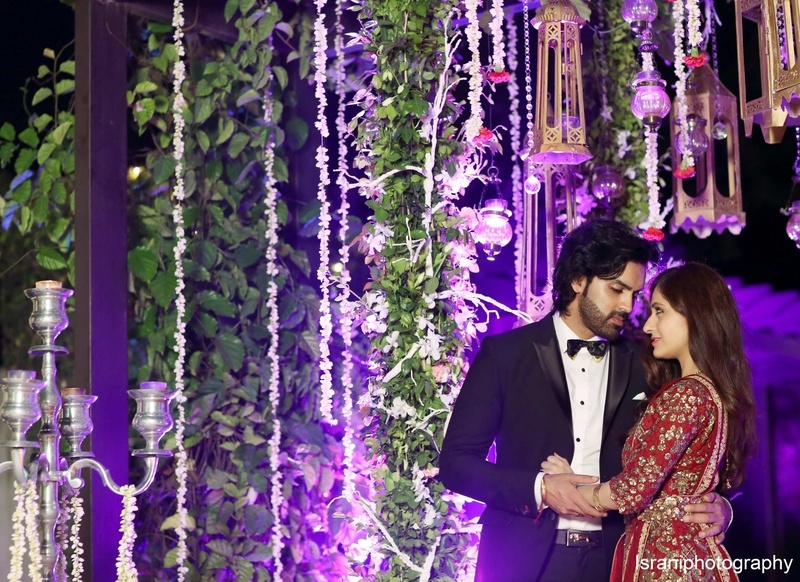 After lunch they headed towards the Kingdom of Dreams to shoot the remaining pre-wedding. 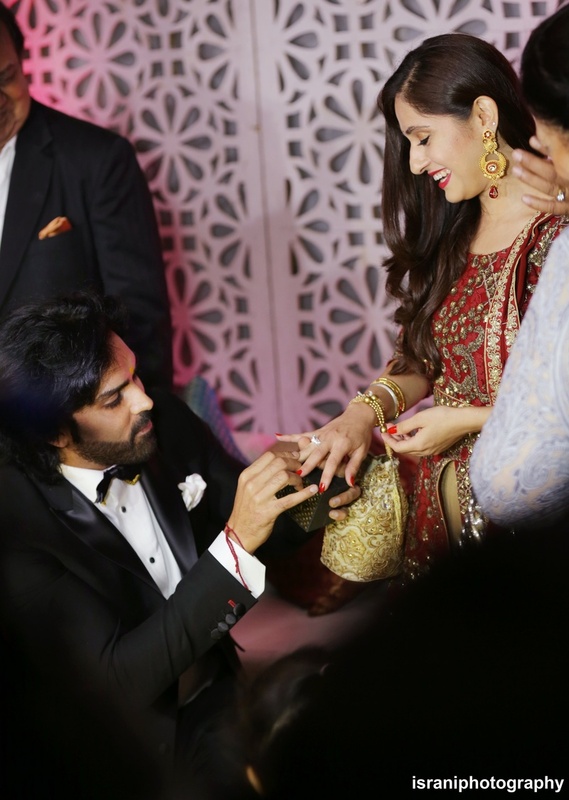 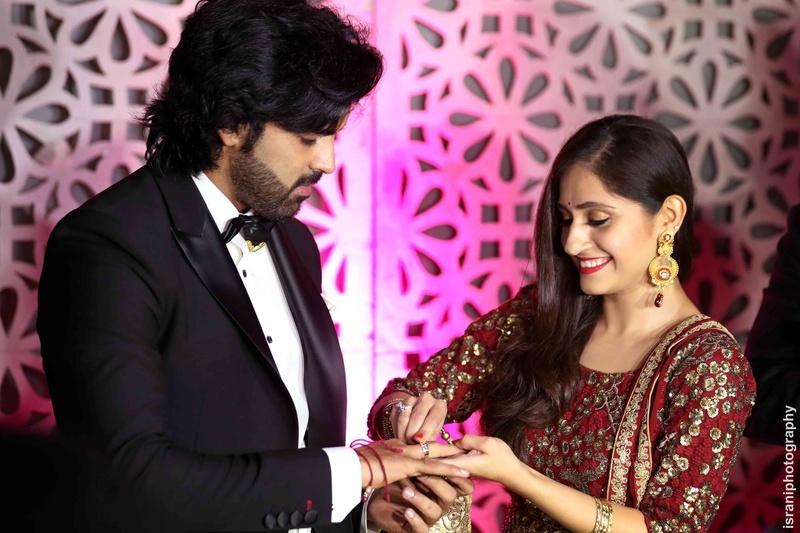 Celebrations continued with the cocktail night party along with the ring ceremony was held at the sanskruti lounge. 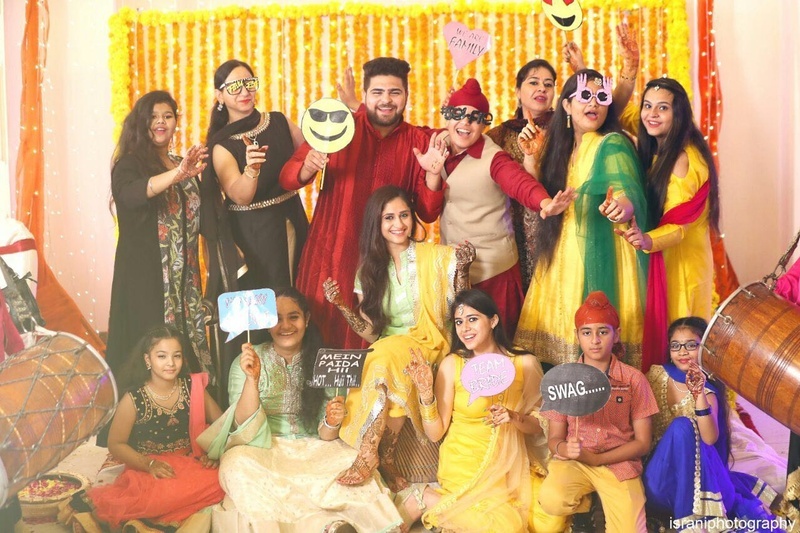 This occasion was graced by Bollywood actor Suniel Shetty and lead actor of the movie Satya 2, Puneet Israni and lot of other friends and relatives. 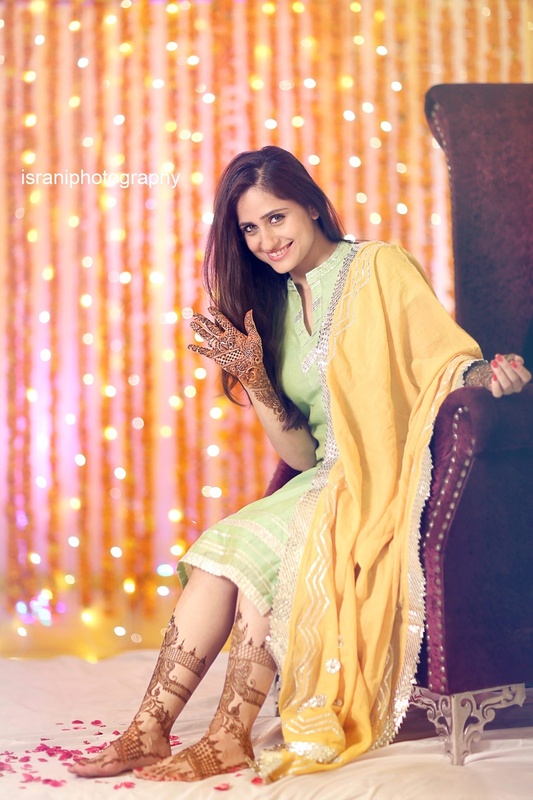 Hunar donned Pista Green Salwar Kameez on the day of Mehendi. 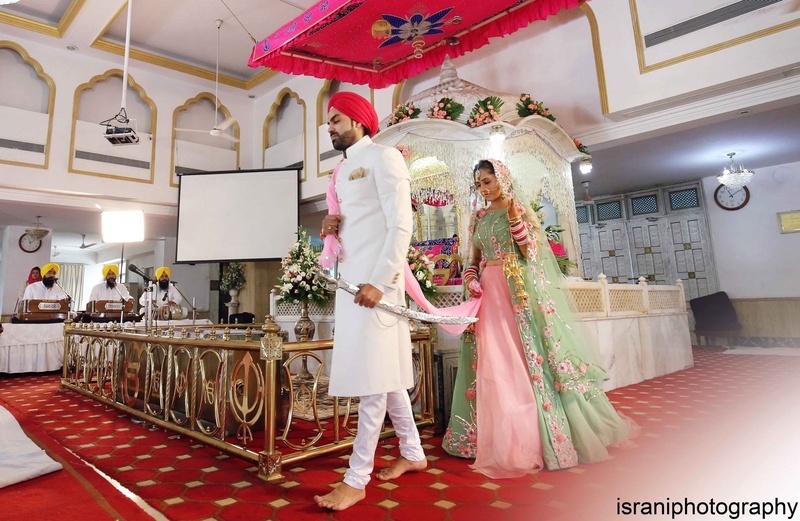 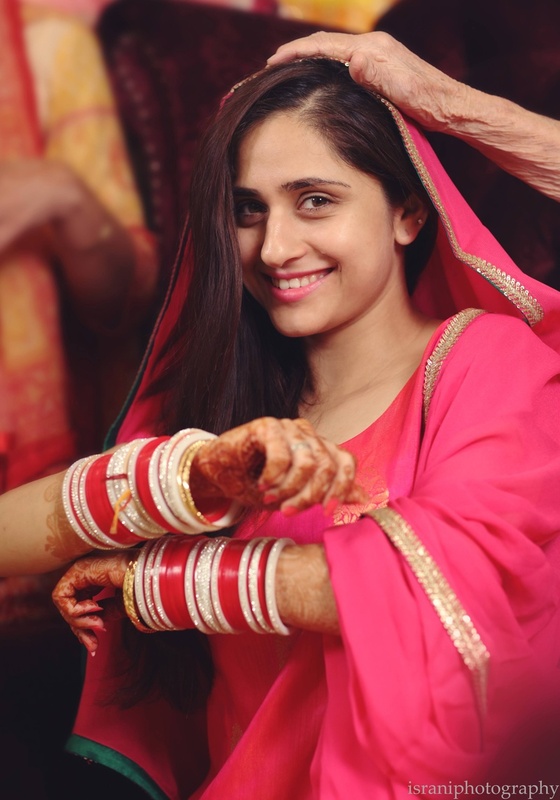 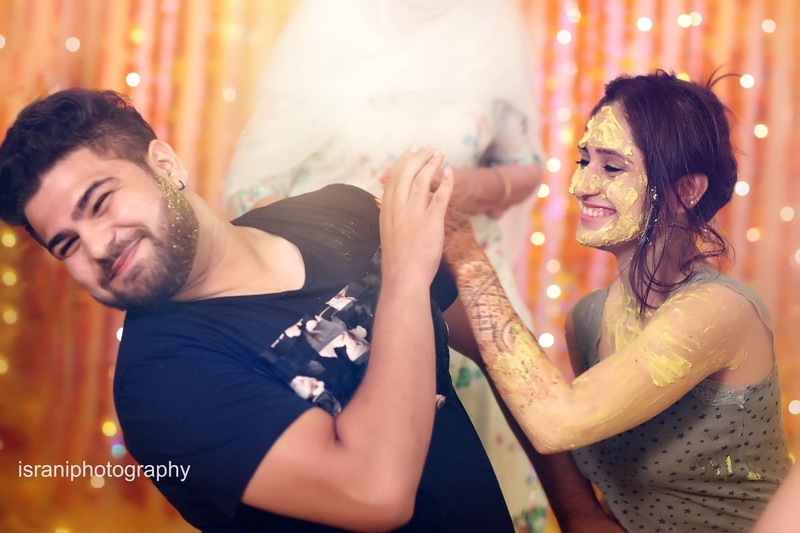 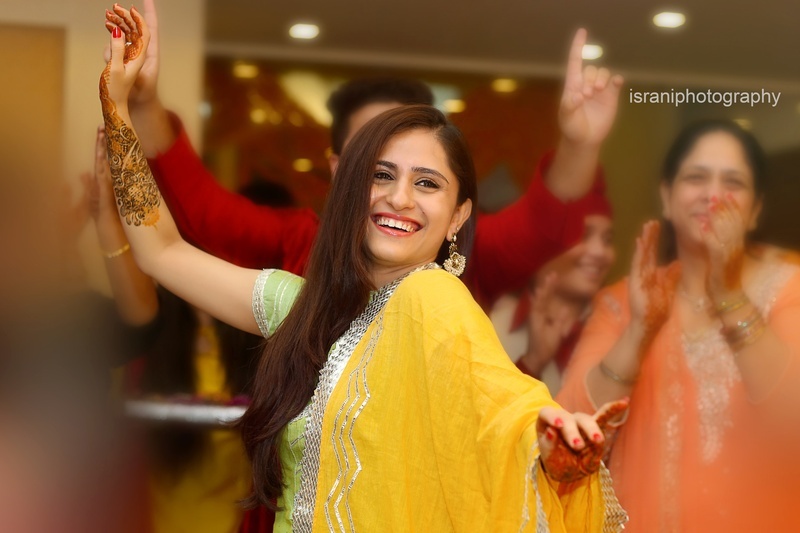 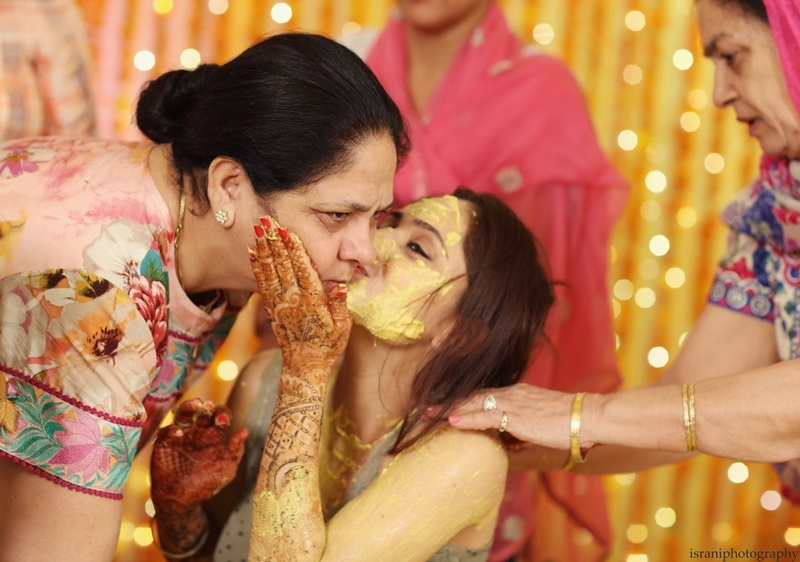 This day was filled with events like family dance and a 'Jago' ceremony that happens the night before a Punjabi wedding. 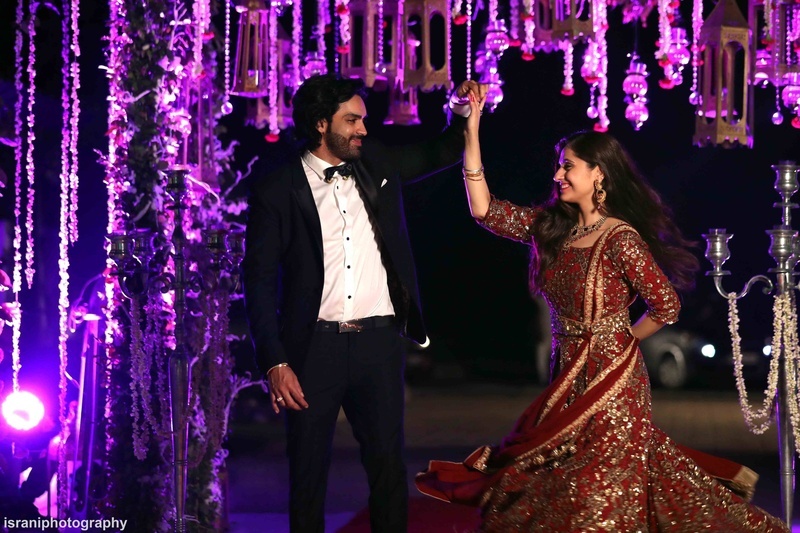 The entire event went up till wee hours, despite the fact that the next day was going to be an early morning for everyone. 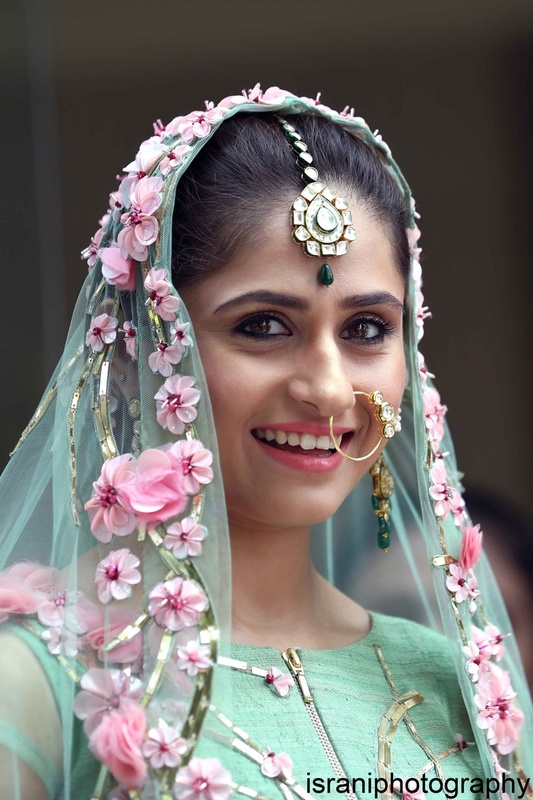 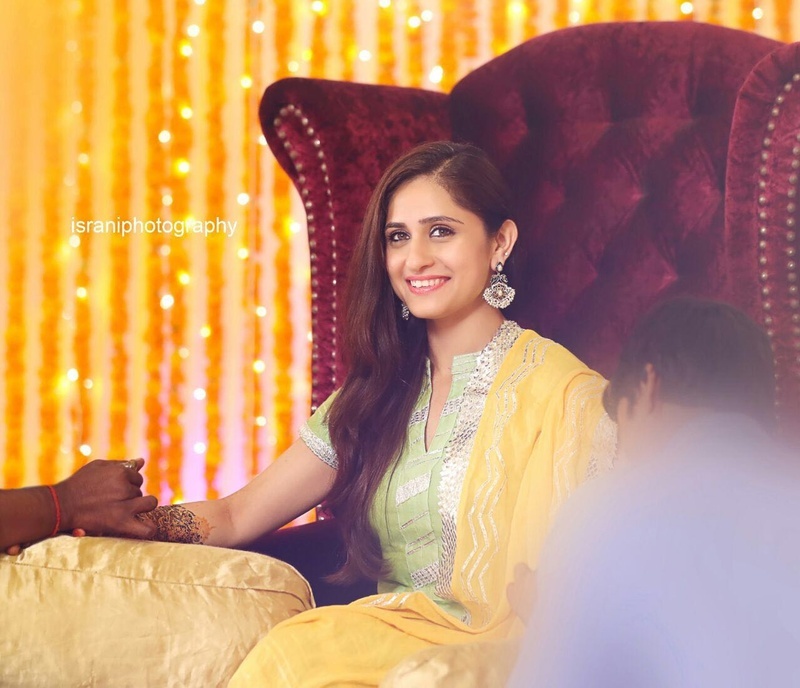 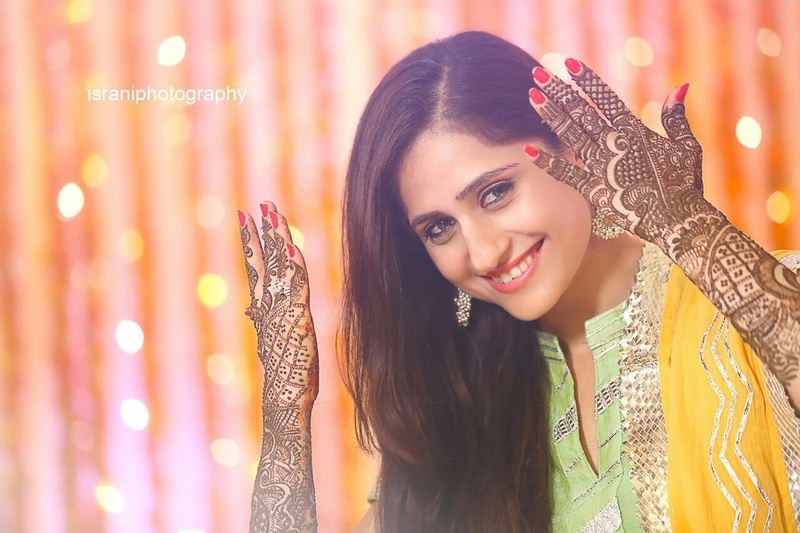 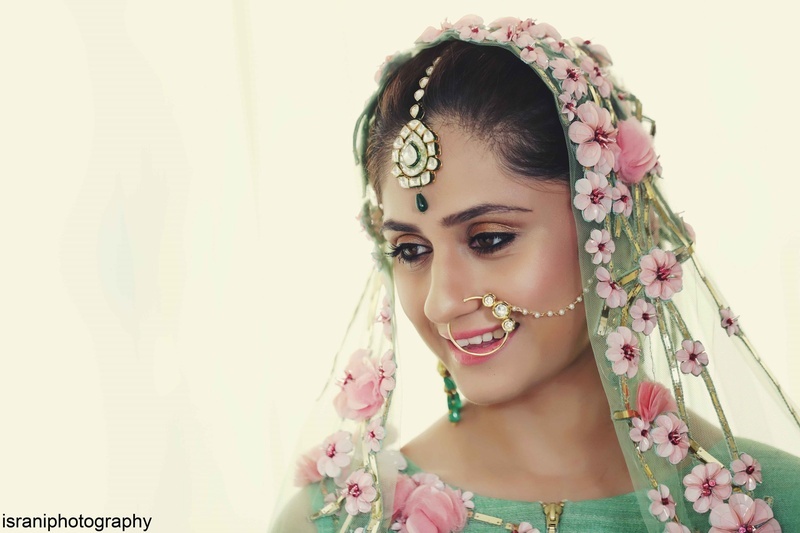 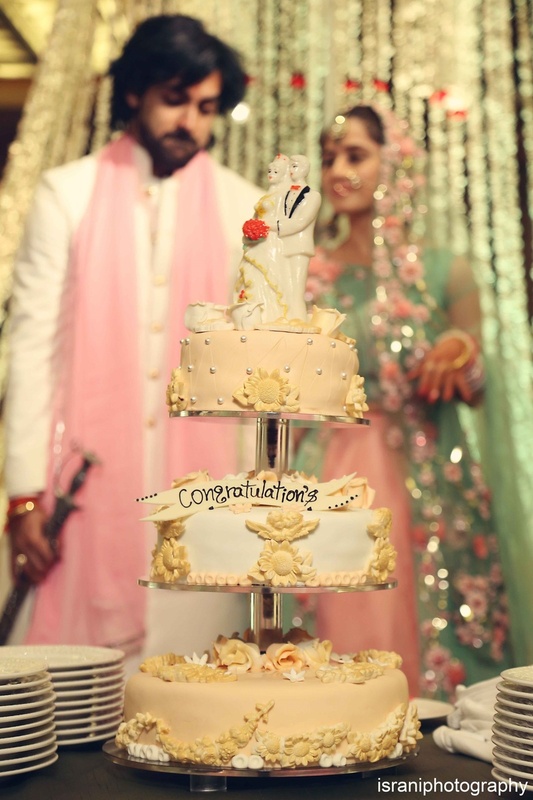 What to look out for as you scroll through this wedding - The DDLJ styled pre-wedding photoshoot, Mayank's sharp black suit at the cocktail ceremony and this bride's unusual choice of green and pink for her wedding outfit! 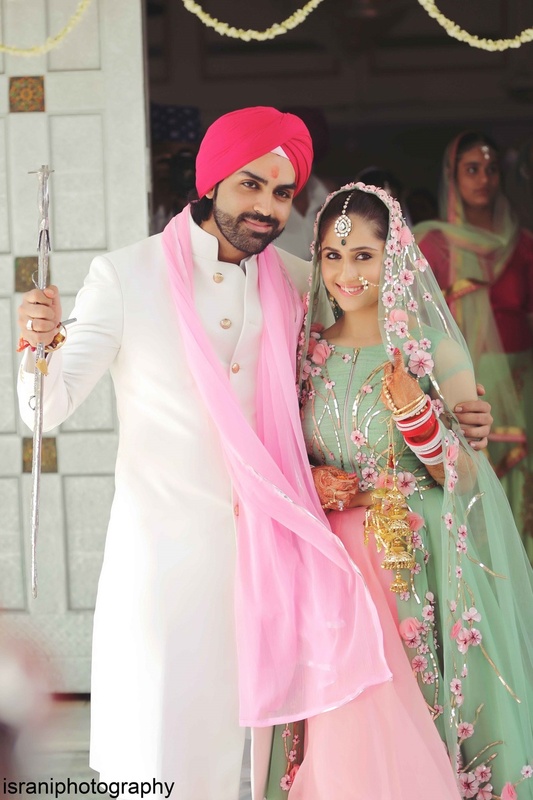 Wedding Venue - Pahari Wala Gurudwara, GK I.
Pre wedding photo shoot of this star couple in Dilwale Dulhaniya Le Jayge!